Some people with hypertension may react with alarm when they check their blood pressure at home or at the drugstore and the reading is elevated. It's not unusual for people with an isolated finding of elevated blood pressure to show up at the local Emergency Department with sudden concern, but in many cases, the real concern is not a single high reading, but the cumulative effect of persistent uncontrolled hypertension. Hypertension is a risk factor for many negative health outcomes, including heart failure, coronary artery disease, stroke, kidney disease, peripheral artery disease and hypertensive retinopathy, a disease of the eye. Hypertension is also associated with type 2 diabetes mellitus, which is why the United States Preventive Services Task Force has issued a recommendation for diabetic screening in people with high blood pressure. Good control of blood pressure results in a rapid reduction of risk for cardiovascular disease. Hypertensive heart disease results from changes in both the structure of the heart and blood vessels and their function as the body adapts to abnormally high blood pressure. If you can imagine the heart as a pump operating against a fluid circuit, picture the increased work of that pump if pressure within the circuit is increased. Some of the changes caused by persistent high blood pressure can be partially reversed with treatment using ACE inhibitor medications. Hypertension results in wear and tear of vital organs and vessels as a result of mechanical stress. Blood vessels have mechanisms to regulate blood flow throughout the body, and when high blood pressure occurs, the blood vessels constrict in initial response. Eventually, the walls of the blood vessels thicken and tissue damage occurs, resulting in hardening of the vessel walls. Hypertensive disease of the eye is known as hypertensive retinopathy. In the retina of the eye, changes in the blood vessels eventually result in disruption of the integrity of the vessel, and blood or fatty acids may leak onto the delicate retinal tissue. This results in permanent vision change, and it's very preventable. Complications of stroke can be due to hemorrhage of the blood vessels that supply the brain, or, more frequently, can result from poor blood flow through arteries damaged by persistent high blood pressure. Approximately 85% of strokes are ischemic, or due to poor blood flow. Another manifestation of hypertensive disease that affects the brain is hypertensive encephalopathy. This condition refers to a change in mental status, frequently accompanied by headache and nausea, that results from swelling in the brain caused by alterations in blood flow at very high blood pressure. This condition is associated with malignant hypertension or hypertensive emergency. Persistent high blood pressure is one of the leading causes of chronic kidney disease, frequently requiring dialysis. 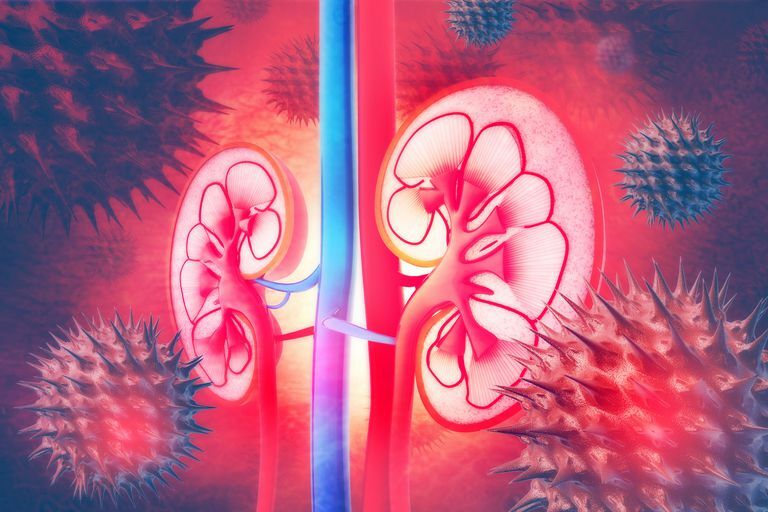 Blood is filtered through the kidneys, and when the small blood vessels of the kidney are damaged by chronic uncontrolled hypertension, the body becomes unable to filter waste. People with kidney damage eventually spend hours hooked to dialysis machines that can remove waste products from their bloodstream, or they may require a kidney transplant. In either case, prevention of the complication is preferable and less complex. Unfortunately, it is easy to underestimate the cumulative effects of high blood pressure, since the damage is asymptomatic initially. It's important to recognize the inevitable consequences of ignoring persistent high blood pressure. If you have high blood pressure, it's important to realize the silent damage occurring over time if your blood pressure is not adequately treated. If you have a high blood pressure reading, you should repeat measurement on two more occasions. If your blood pressure remains above the level your doctor has suggested, it is essential to follow up. There are many excellent and affordable medications available for treatment of hypertension. Some people require a combination of drugs to maintain control. Whatever the case, the inconvenience of treatment is far exceeded by the benefits to your health over a lifetime.